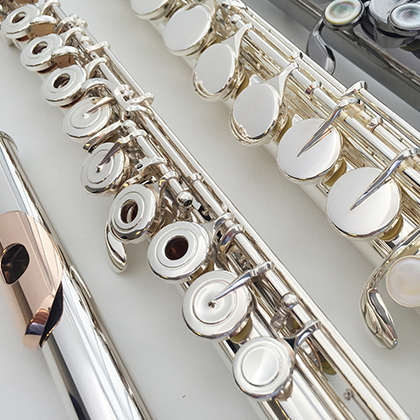 From the Trevor James 10x to the handmade 'Aria' and 'Concerti' models there is a Trevor James flute for you! TJ Aria - Handmade flute with FMG headjoint / 925 silver body, soldered tone holes. TJ Concerti - Handmade flute with FMG headjoint / 925 silver body and mechanism, soldered tone holes. Free blowing and one of the world's leading alto flutes. silver-plated, black plated and copper alloy models. Handmade and free blowing instruments. Available with 925 silver lip and riser and in silver-plated and black plating finish.